The information contained on this website (including any lesson plans) is furnished for general information purposes only and does not constitute legal advice. Specific legal advice should always be sought on the application of the law in any particular situation. Street Law at LYIT Will make every effort to make sure that it’s website is fully operational at all times however no responsibility or liability will be accepted for the website being temporarily unavailable due to technical issues. 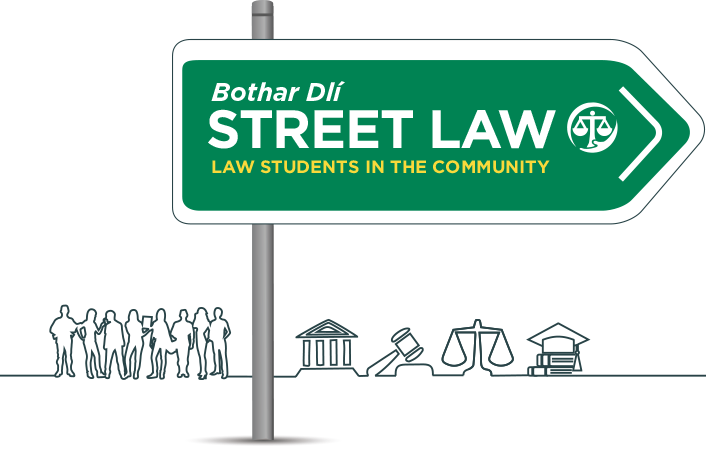 Street Law at LYIT accepts no responsibility for, nor does it imply any endorsement of, the content of any external sites or other material which can be accessed through this website.